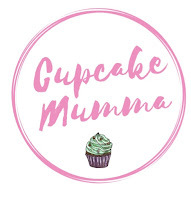 Cupcake Mumma: Visiting Duchy College Open Farm Day! Visiting Duchy College Open Farm Day! Last Sunday I had the urge to go out and do something. I wasn't 100% sure what but I needed to get the little ones out of the house for a change of scenery (not just them either!) I was browsing my social media during my morning social media catch up (we all do it right?) and came across Duchy Colleges open day. Rosewarne Duchy college is a local college a 15 minute walk from our house. I knew that the Mini Cupcakes would love the dog shows, the birds, horses and the different games that would be there. We arrived (dog in tow) and set off exploring the flowers and stopping every few moments to allow Little A to pet the many dogs going through to the dog show. We found diggers and tractors which Midge loved and Little A spotted a mini steam train so hopped on that for a ride before posing with a Massey Ferguson tractor. Midge played a couple of games on the picnic lawn with A before we headed to the first field and watched a bit of the dog show, said a quick hello to some school friends and having a tasty ice cream. We then explored some of the farm. We only saw turkeys (I'll never eat another one, they are rather beautiful creatures!) because all the cows, sheep and donkeys were out in another field. We ventured down to a large field where we met Peanut the rescue pony and got to see several beautiful horses galloping up and down the field with their riders dressed up and showing off their horseback archery. You can actually go to St. Ives and visit the Old Mill Stables horse riding school to learn to do horseback archery. I adored the horses and wished there were more horses to look at. There were several more with carriages but sadly we missed that event. We all had a really good day out at Duchy college. I do like being slightly spontaneous and really enjoyed the horses. Midge: "I really loved the horses, Peanut was my favourite because he was a pony. I liked the games because i had fun and won two times. The ice cream was really good too!" Little A: "I LOVED the horse bow and arrow shooting, I want to do that!"